Fans of 70s horror like ‘Attack of the Killer Tomatoes’ don’t want to miss out on Blood & Gorde which has been heavily inspired by the B movies of the era. 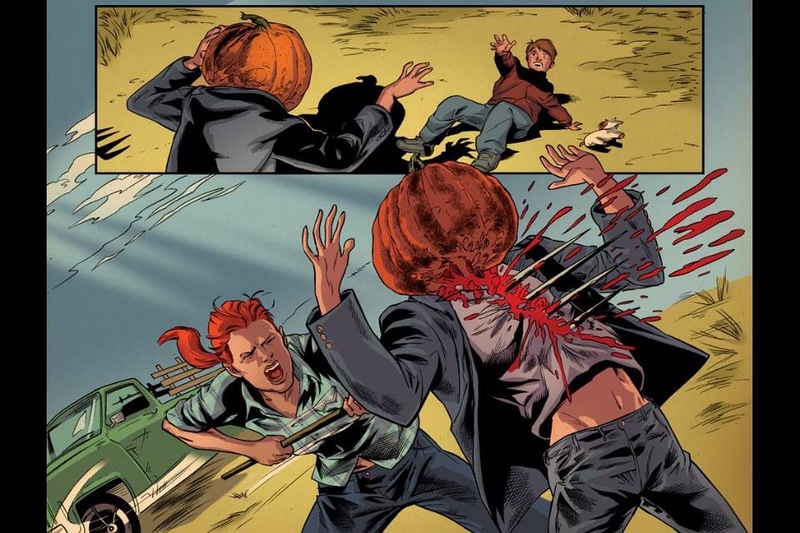 This 48 page introduction to a halloween faire attacked by killer pumpkins sounds like it’s been ripped straight out of a 70s horror comic or a segment of Creepshow and is something that has been sorely lacking from mainstream comics. Before getting to the horror, writer Jenz K. Lund makes great use of the extended page count and introduces us to the major players in the story, after all we’re not going to care about characters we haven’t gotten to know. Lund cleverly decides to use stereotypes to establish the base attributes of his characters quickly while still giving time to flesh out the main players and their back stories. One of my favourite characters is the emo inspired Tristan who even though it’s never stated obviously shops at Hot Topic, just because they’re in such a world of their own when everything’s going to hell, a perfect nod to the modern selfie obsessed generation. During all this there’s a wonderful slow burn effect as we’re waiting for the inevitable pumpkin show down to happen, with some clear hints as to what’s to come hidden in the artwork. Speaking of the artwork, Blood & Gorde isn’t afraid to get gory with some over the top carnage from penciller Dave Acosta, which at one point even resembles the infamous head exploding scene from Scanners. Eagle-eyed readers will also really enjoy all the little Easter eggs Acosta adds to the background of his panels, adding another dimension of re-readability to the comic. Blood & Gorde is definitely the kind of comic you’ll want to read more than once. The story is that well paced it feels like you’re on the hill climb of a roller coaster before going over the edge when everything gets visceral in the second act. Lund and Acosta have crafted a pulse pounding introduction to this world that’s about to see a lot more horror in the following issues. 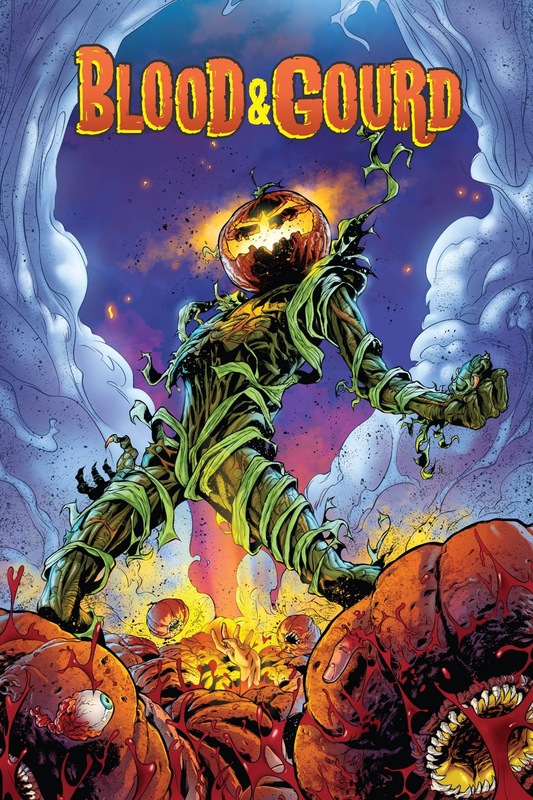 Blood & Gourd #1 is available to preorder now from here with the issue looking to ship in mid-May.